If you are currently running the latest Windows 10 operating system on your computers or laptops, and just in case if you have accidentally SHIFT Deleted Files and Data, then you're at right place, because today we are going to share some useful tips and tricks to quickly restore and recover permanently deleted files and data. Windows 10 recycle bin folder provides an option to users to restore any deleted file of the system, but it doesn't provide the ability to Recover SHIFT Deleted Files from Windows system, so at this point, you have to consider third-party software tools to get things done easily and without any technical knowledge. 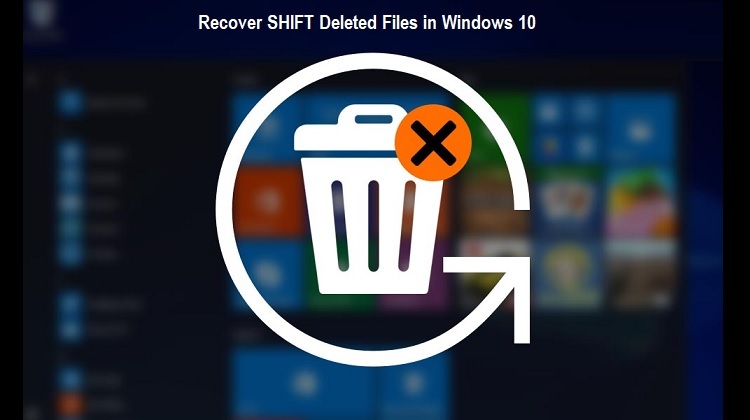 So let's get started and understand the easiest and quickest way to Restore SHIFT Deleted Files on Windows 10 operating system. The best data recovery software we can suggest you use is EaseUS Data Recovery Wizard Free Version, which got the ability to recover formatted, deleted, and lost data and files from PC, Laptop, Mobile Phones, Tablets, Hard Drive (HDD), SSD, USB, Digital Camera, Memory Card or any other removable storage device quickly and easily without making any effort. Windows 10 users can retrieve any deleted files or lost data i.e. Photos, Documents, Audios, Videos, Music, Emails, Graphics, Archives etc. in any file formats and file types i.e. DOC/DOCX, XLS/XLSX, PPT/PPTX, PDF, CWK, HTML/HTM, INDD, EPS, JPG/JPEG, TIFF/TIF, PNG, BMP, GIF, PSD, CRW, CR2, NEF, ORF, SR2, MRW, DCR , WMF, RAW, SWF, SVG , RAF, DNG, AVI, MOV, MP4, M4V, 3GP, 3G2, WMV, MKV, ASF, FLV, SWF, MPG, RM/RMVB, MPEG, AIF/AIFF, M4A, MP3, WAV, WMA, APE, MID/MIDI, VQF, FLV, MKV, MPG, M4V, RM/RMVB, OGG, AAC, PST, DBX, EMLX, ZIP, RAR, SIT, ISO, EXE, HTML, SITX etc. with the help of this free data recovery software. This popular data restoration tool is available for Windows Editions, Windows Server, and macOS systems, and its available in multiple different languages as well i.e. English (US / UK), Japanese, German, French, Spanish, Brazilian Portuguese, Italian, Chinese (Traditional), Dutch, Chinese (Simplified), Danish, Swedish, Russian, Polish, Norwegian, Hungarian, Turkish, Arabic, Korean and Indonesian. 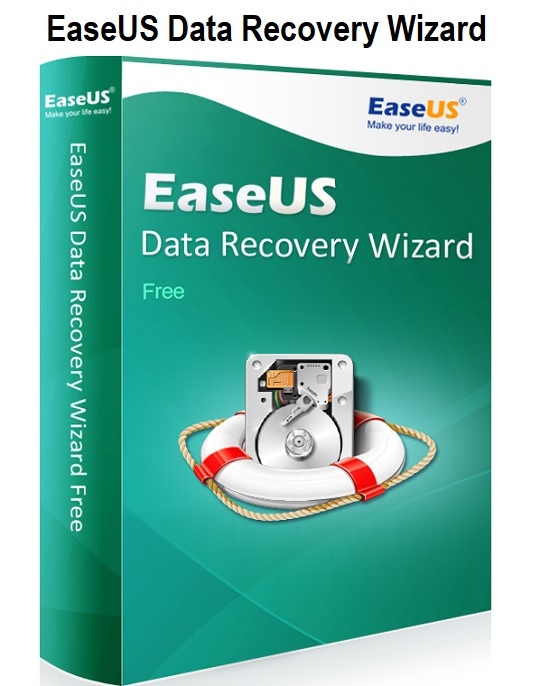 The official Free Version of EaseUS Data Recovery Wizard allows you to recover 2GB of data and files in any data loss situations and circumstances without slowing down the performance and speed of your system which makes this software tool unique, efficient, effective and reliable enough to use on any hardware system and platform of Apple, Microsoft, Intel, Dell, HP etc. You will need to first Free Download and Install EaseUS Data Recovery Wizard software tool from its official website, and then you can follow below quick steps to Restore SHIFT Deleted Data on Windows 10 in no-time. Step # 1: Launch the downloaded software on your Windows 10 machine. Step # 2: Select location of drive or folder where your data or file was placed, then press the SCAN button. Step # 3: After completion of quick deep scanning, you will see your deleted file or lost data in real-time on your computer screen.